Claudia Roda is Professor of Computer Science and Global Communication, and the co-founder of the Technology and Cognition Lab and the Working Group on Human Rights and Digital Technology at The American University of Paris , FR. Since January 2015 Claudia is Dean of Assessment, Learning and Institutional Research . Professor Roda’s research, which has been widely published and sponsored by several organizations including the European Commission and the Andrew Mellon foundation, focuses on the impact of digital technology on human behaviour and social structure. 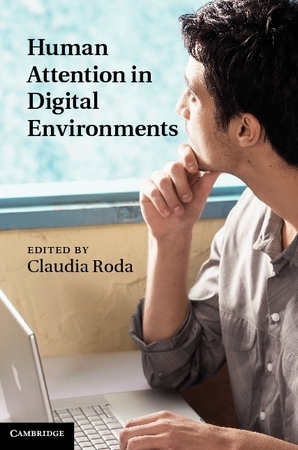 Professor Roda has explored theoretical and applied models for attention computing and recently published the book Human Attention in Digital Environments with Cambridge University press. Her current research evolves from her earlier work on the design, implementation, and validation of multi-agent systems supporting cognitive and social processes for learning and collaboration. After a bachelor degree in Computer Science from the University of Pisa, she obtained a Master and PhD from Queen Mary University of London, UK where she also worked at the first EU-sponsored research project on multi-agent systems. She continued her research in this field as a Senior Research Fellow at INSEAD in the Centre for Advanced Learning Technologies (CALT). In 1997 she joined the American University of Paris where she also teaches courses in programming languages, human computer interaction, and human rights and digital technology. She was Director of the Division of Arts and Science from 2008 to 2011 and Director of the collaboration between The American University of Paris and The New School (NY, USA) from 2010 to 2013. In 2007 she received the AUP's Board of Trustee Award for Outstanding Research and Publications. "Those of us interested in learning many of the latest developments of how information systems interact with users and how that knowledge can help to communicate more effectively should read this book. [...] Human attention in digital environments meets its goals and exceeds my personal expectations. [...]This book is an excellent primer for the uninitiated. It contains extensive bibliographies and excepionally well documented theories. [...] Human Attention in Digital Environments is a significant contribution towards advancing an understanding of an important area of study and research." " This book attempts to bridge the divide between research in cognitive psychology and useful application in human-computer interaction. System designers will find the materials worthwhile. [...] Many developments are unfolding in applied attention theory, and this collection will stimulate the reader. " 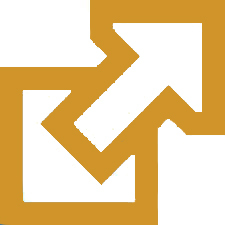 AUP's Principal Scientist for the PRIPARE project (PReparing Industry to Privacy-by-design by supporting its Application in REsearch) launched October 1st 2013.